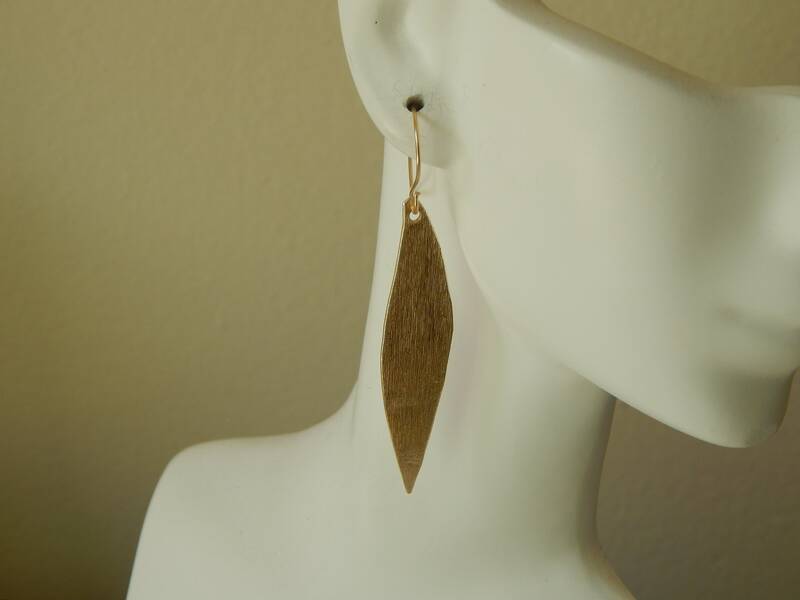 Brushed gold leaf shape earrings hang from 14kt gold filled earwires. 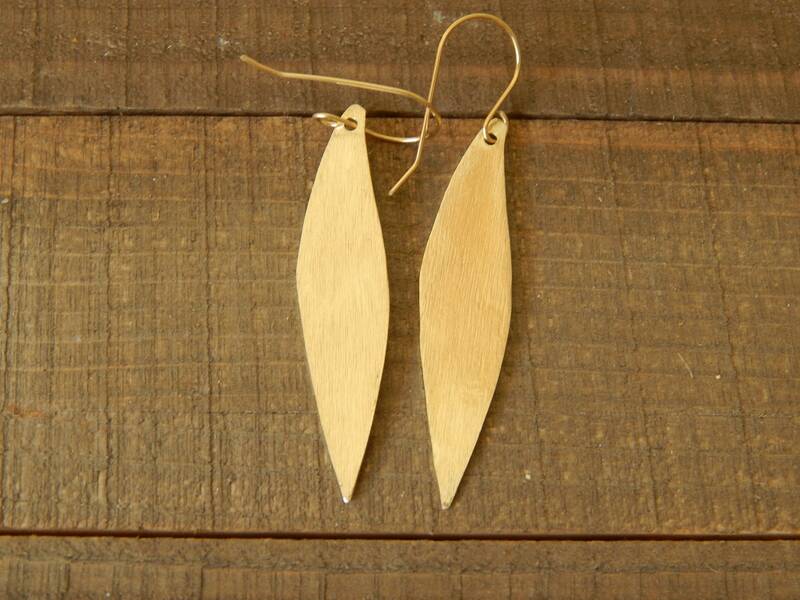 These earrings are light weight and easy to wear. 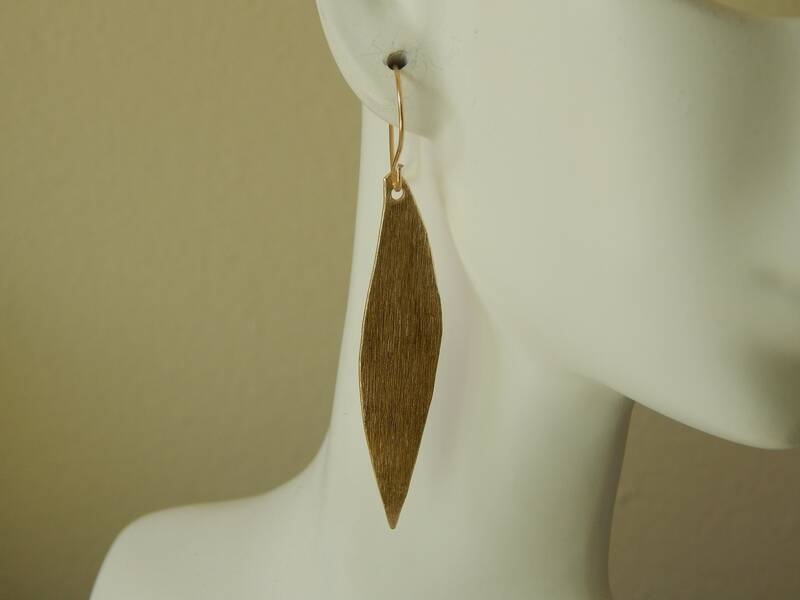 Can be worn with anything and transition easily from day to night. 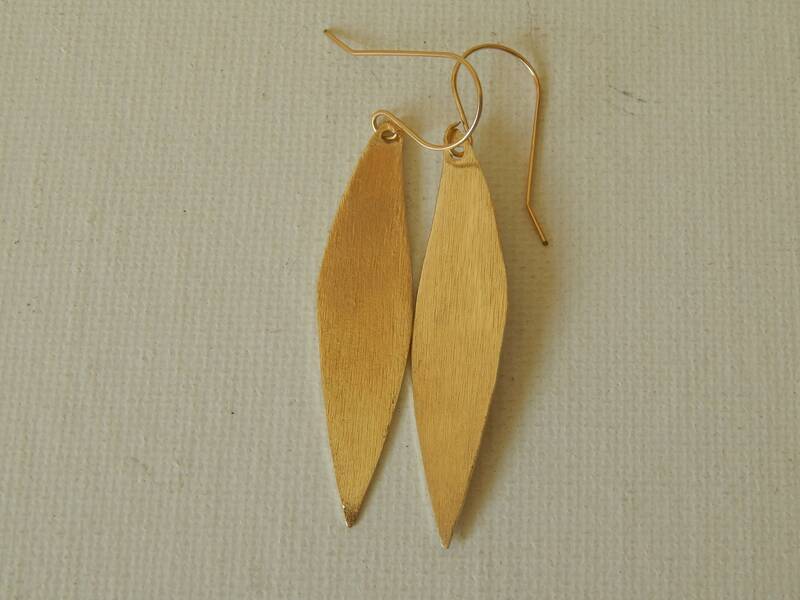 Earring length is 2.25 inches including earwire.